Last Sunday morning we looked at some ‘meat’…the Golden Chain of Romans 8:28-30 including the subject of predestination! As you can imagine lots of questions afterwards…here is the whole service…you can get the sermon only from the St Peters website. In my view it is so practical and helpful for Christians to grasp this – indeed, as in my own case, it is life changing. In the evening Andrew gave us this wonderful sermon from Matthew 1. Instead of seeing the genealogy as a problem it is teaching that really helps us. Every Monday I put a message on the St Peters FB page – here is last Mondays…. Some of you were a bit surprised when I showed the ‘Bigots’ poster on Sunday. People were genuinely surprised when they found out that such an anti-Christian poster (for that is what it was) was created by Police Scotland and the Scottish Government. Things got worse over the weekend – an SNP leader spoke on the BBC of the ‘Tartan Taliban’ on Lewis. There are those who think that the wise thing to do is just keep our heads down and pray – but I don’t agree. For better or worse the Lord has granted me a voice and when I write about these things on theweeflea.com they often head up in the press. So even as I write I am preparing a 1200 word article on the subject for the Daily Mail. Yesterday a TV company came to the Church to record an interview. What may surprise, but should encourage you, is that secularists, Catholics, journalists and politicians have been in touch to express support at my position. I do value prayer as I do not enjoy being in the public arena – it brings a level of stress and strain that I would rather be without. However I am so grateful for the support and love of the people in St Peters. I apologise whenever I let you down and speak wrongly. But I cannot keep silent because I believe that the Lord has opened these doors. However let me assure you that no matter how many times I get to write or speak in the secular media, the greatest and most enjoyable thing I do is bring Gods word to you. My view is that every Lord’s Day we ‘feast in the house of Zion’….please continue to pray for the preaching of the Word of Christ, whether amongst the people of God, in evangelism or in the public media. It is his word, and it will not return to him empty. 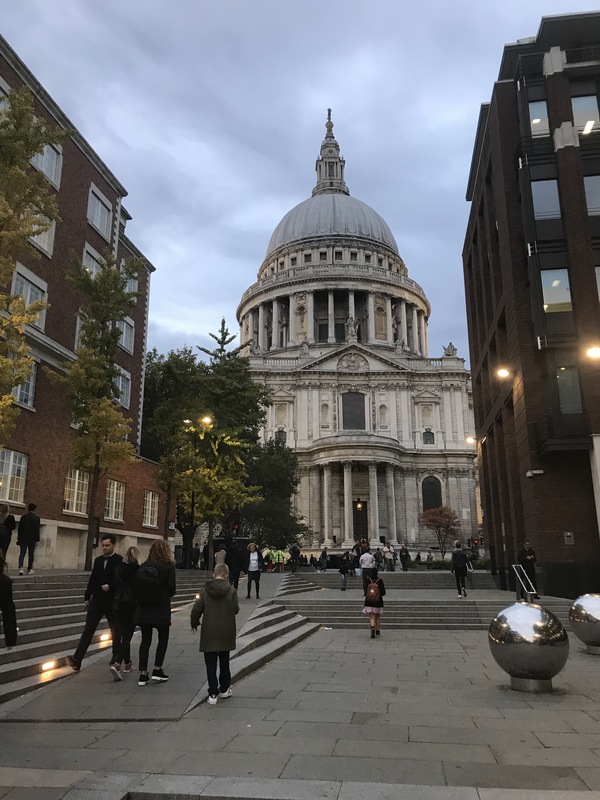 We had three days break this week in London – amongst other delights St Pauls always stands out (although paying £18 to get in was too much! I guess all that rhetoric about the poor being welcome doesn’t apply to buildings. One thought that struck me walking past was when I saw a Muslim doing his very public prayer duty in the grounds….the grandeur and glory of the building is as nothing compared with the grandeur and glory of the doctrines of the Gospel. Yet it is a rare thing to hear them preached in that wonderful building…perhaps if they were neither the C of E nor the nation would be in such a state – and they wouldn’t have to charge £18 to get in! Thank you , St Peters . Interesting that you should see “a Muslim doing his very public prayer duty in the grounds” unhindered by the cathedral staff. 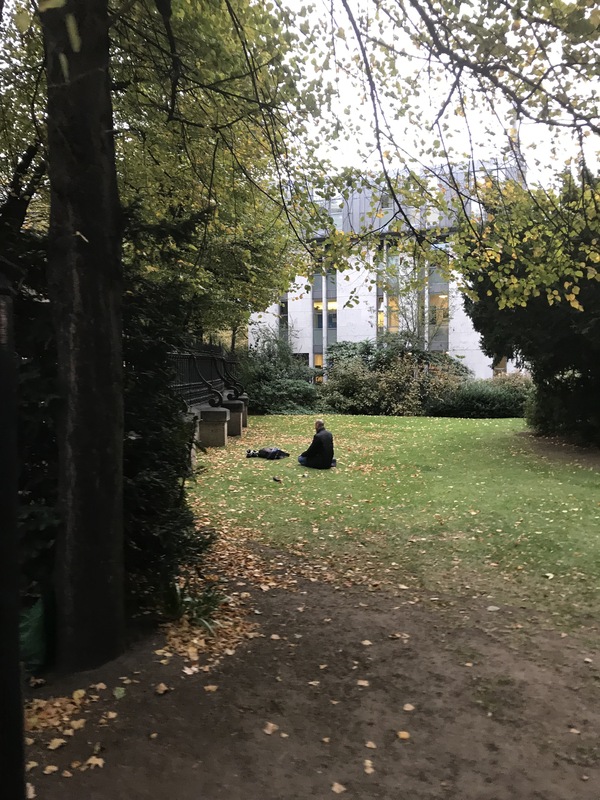 If however, someone wanted to read from the Bible in the grounds of St Paul’s cathedral, he would run the risk of the cathedral staff calling the Police to have him moved on or arrested, as was threatened to Allan Coote; reported by Barnabas Fund https://barnabasfund.org/en/news/st-pauls-cathedral-forbid-public-reading-of-the-bible-police-disagree# and other news sources. This probably tells you a good deal about the position of St Paul’s cathedral regarding the proclamation of the gospel.